Maxim Lebedev has been supervising courses over the internet for two years. This is from his website. He will answer questions here about it. 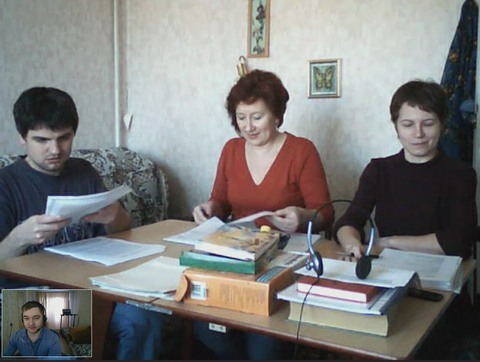 For the last two years training students on scientology courses has been accomplished by teleconferencing. It is called now web training. The Supervisor carries out all the actions needed on a course by using modern computer technology. The supervisor does face-to-face checkouts, checkouts of demonstrations, reading essays, e-meter training, review of auditing sessions, all the actions needed before completing a course. It is possible to complete the following courses in this way: Dianetics auditor, HQS, Student Hat, Class 0-4 Auditor, NED Auditor, basic administrative courses, etc. A classroom equipped for web training can accommodate 3-10 persons who live in one city and come on a convenient schedule.